Dave Boyer and Dan Boylan at the Washington Times offers a piece on the American and allies’ attack on Syria. The U.S. launched missile strikes on Syria Friday night in coordination with Britain and France in retaliation for Syria’s chemical-weapons attack on civilians last weekend. “A combined operation with the armed forces of France and the United Kingdom is now underway,” Mr. Trump said. 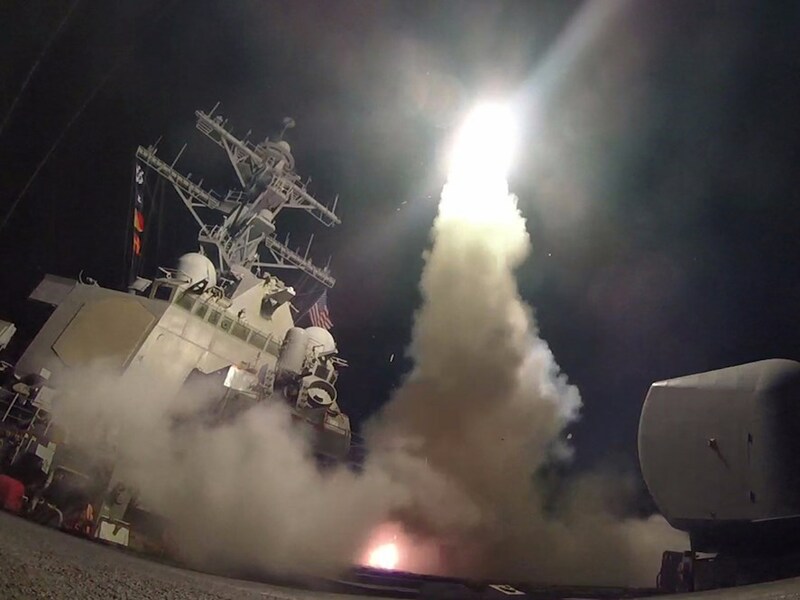 The strikes came around 9 p.m. in Washington, 4 a.m. Saturday in Damascus, and targeted three Syrian military installations involved with the use of chemical weapons. It was the second strike ordered by Mr. Trump in the past year against the forces of Syrian President Bashar Assad to deter his regime’s use of chemical weapons. Mr. Trump said the military strikes are a response to Syria’s “significant escalation in a pattern of chemical-weapons use” culminating in last weekend’s atrocity in Douma, a rebel-held suburb of Damascus, that killed dozens of civilians. He suggested the allied military action is open-ended. Defense Secretary James N. Mattis and Gen. Joseph F. Dunford, chairman of the Joint Chiefs of Staff, said at 10 p.m. that the first wave of attacks had ended, and no further strikes were contemplated for the moment.